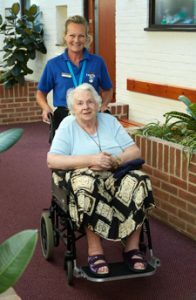 Deputy Managers provide invaluable support to the care home managers and have an integral role in ensuring their establishment operates in line with company procedures. With experience in delivering personal care themselves, all deputies are responsible for leading on ensuring excellent care is delivered by all staff at all times. All Deputy Managers will possess NVQ Level 3 (or equivalent) in care and will be supported through additional development opportunities. We offer an extensive induction to new Deputy Managers to support them in their daily role. Take the lead role in developing and ensuring the on-going review of care with the staff, tenants/residents, key workers and others. Support the manager in the recruitment and selection of staff including their induction and probation. Manage staff, including training and development. Ensure the establishment is CQC compliant. Monitor and audit the standard of care delivery (e.g. Medication and Health & Safety). Ensure work is carried out in accordance with local safeguarding protocol and NorseCare procedures in order that residents/tenants are protected from harm and abuse. Oversee the safe administration and storage of drugs and medicines.